Western blot analysis of HepG2 cell lysate probed with Rabbit anti CD107b antibody (AHP2325) at 1 μg/ml (lane A) and 2 μg/ml (lane B). 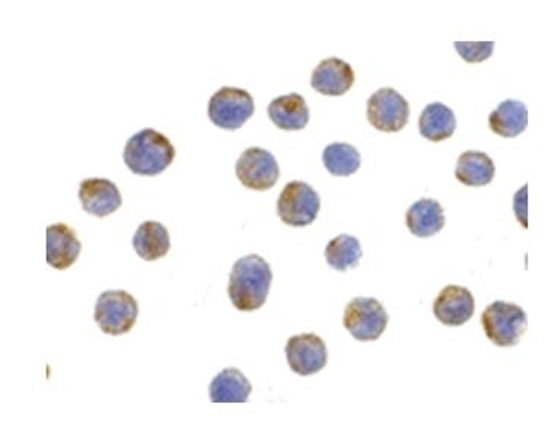 Immunocytochemistry showing CD107b (LAMP-2) staining of HepG2 cells with Rabbit anti CD107b antibody (AHP2325) at 10 μg/ml. 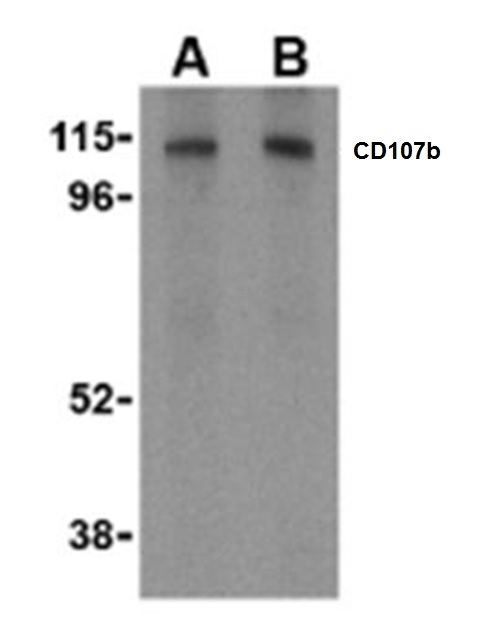 Rabbit anti CD107b antibody recognizes a region close to the carboxy terminus of the human CD107b antigen, also known as lysosome-associated membrane protein 2 (LAMP2). LAMP2 plays an important role in the normal function of the lysosome, which includes protecting the lysosomal membrane from autodigestion. It is also implicated in tumor cell metastasis.